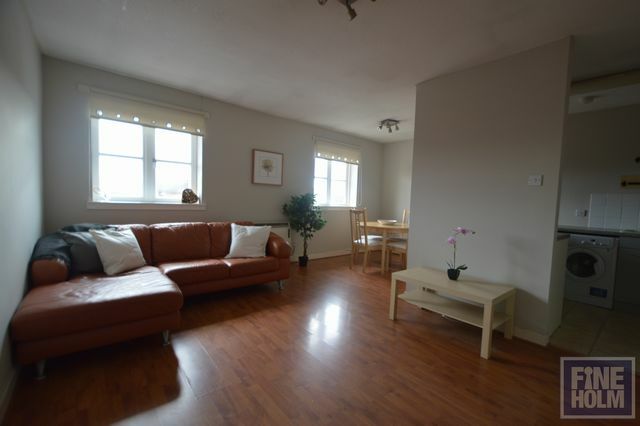 Lovely one bedroom second floor flat located in this quiet block - within easy stroll of Glasgow Green and the city center. It is stylish internally and offered furnished - well suited to a couple or single person looking to enjoy all Glasgow has to offer. It has entrance hallway with storage cupboard, bathroom with shower over bath, open plan and spacious living room with dining zone and kitchen with washing machine, fridge, cooker and oven. The bedroom has fitted wardrobes and quiet outlook. Electric storage heating. Secure entry. Double glazing. Resident parking.